← Day 104: Casa Batllo. There comes a time in everyone’s life when they need to stop talking about doing something, and just get on with it. I had been captivated by the stories of personal transformations resulting from walking the Camino de Santiago across the north of Spain for more than a decade now, and I had run out of excuses. Being freshly liberated from employment, I had the time, the means, and the feet. The recent blockbuster documentary ‘The Way‘ had been a gentle reminder to start packing, and to pack light. There were plenty of people offering their opinions about the trip in terms of preparation, and what to bring and leave behind. My memory being somewhat selective as to what it retains, I absorbed surprisingly little of this advice, and kept myself busy with fun new things in LaLa-land, until pretty well the time of departure. When I put my sizeable backpack next to my friend MdR’s, who would be accompanying me for the first two weeks of the walk, it was clear that mine was probably a little on the large size. But hey, I figured my primarily Eastern European and Scottish stubborn shoulders could handle it. So away we went, stopping in one of my all-time favourite cities of Barcelona for a couple of days to enjoy the spoils of luxury and excess. And, as usual, it did not disappoint. Early this morning, we left the comfortable hotel with its bath mats, towels, toiletries, safe, crisp linens, and privacy, and boarded a flight to Pamplona. 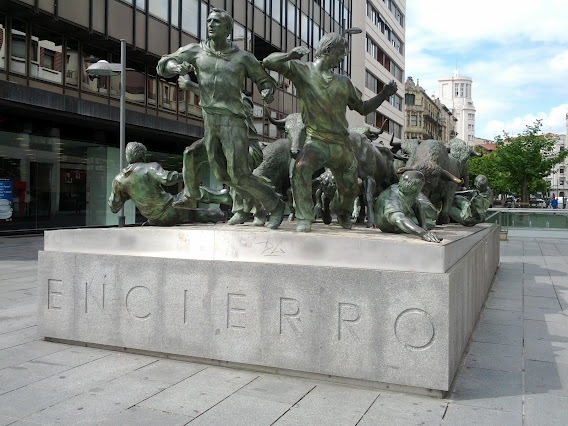 This would be our gateway to the start of the Camino Frances, the traditional pilgrimage route from the south of France across the north of Spain to the cathedral of Santiago de Compostela, a mere 790 km walk away. Piece of cake. I mean, if Martin Sheen could handle it, surely we could! 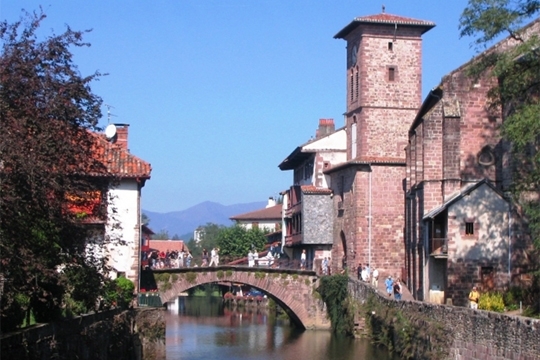 After a stopover in Pamplona to explore the charming city that is best known for its annual San Fermin festival (with the running of the bulls, aka encierro), we caught a direct, nausea-inducing bus (newly introduced in 2011) to the French town of Saint-Jean-Pied-de-Port. You know, the one just on the other side of the Pyrenees mountains? We found our Albergue (in Spanish, Auberge in French, Camino hostel in English) without any trouble, and settled in amongst other first time walkers. Our room consisted of 6 bunk beds, which we shared with just two other pilgrims, who happened to be male. Mixed accommodations and bathrooms are apparently common on the Camino. We explored the picturesque town for a bit, and had a group dinner in our hostel, which was made by our very hard-working hostess, who did everything including the cleaning, reservation taking, grocery shopping, and cooking, not to mention the onerous task of pouring the local wine, which is always included in pilgrim dinners, bless them. The dinner was excellent, and extremely reasonable. That night, I was already glad I had packed my earplugs, to try and drown out the snoring of our roommates. 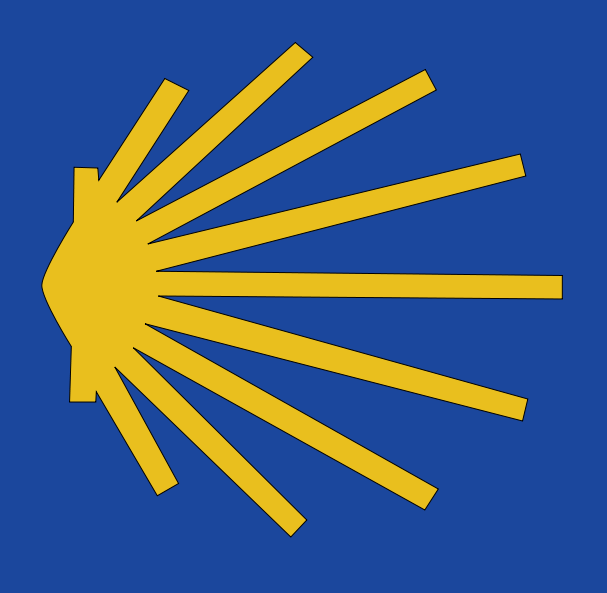 One guy was from Texas, and had walked the Camino a couple of years before. The other guy was from Brazil, and was doing the walk after finishing his studies in Madrid. We were both so excited, we could barely sleep. The Camino awaits! 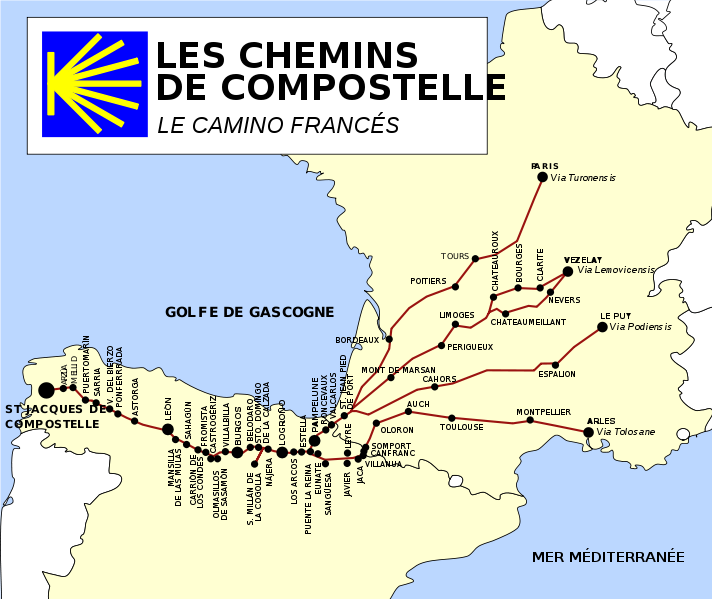 This entry was posted in Karma and tagged El Camino de Santiago, June, karma, pilgrimage, Spain, St-Jean-Pied-de-Port. Bookmark the permalink.